For the past five or more years we have had marketers lamenting how hard it is to get their agencies to work together. Most wish they would just get on with collaborating together to get the job done. As you know, I think they should be satisfied if their agencies simply cooperate or at the very least coordinate with each other. In 2010 I was invited by my good friend Debbie Morrison at ISBA to come and address her COMPAG in London on this topic, because so many had raised this as a significant issue and Debbie knew we were doing a lot of work in this area with the Evalu8ing system for measuring, managing and maximising collaboration and performance. Rather than simply talk about the Evalu8ing process, I wanted to provide real insight into the actions we had found increased collaboration between agencies. Some of these are quite obvious and others are a little quirky. Which is why I was inspired by Dr Suess, who was quirky, who developed a way of making the simple process of learning to read memorable and fun. 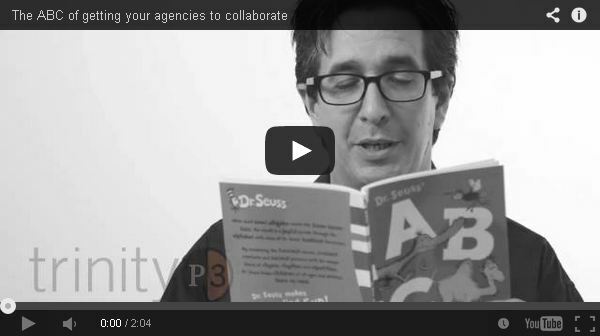 So here I am reading to you the ABCs of agency collaboration, with a Dr Suess twist. And if you want to read for yourself, the original presentation from that meeting at ISBA is at the very bottom of the page. Please enjoy. 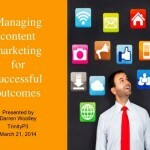 Wishing your agencies would collaborate more effectively? Then let me read to you the A. B. C. of agency collaboration inspired by Dr Suess. Structure your agency roster to meet the needs of your marketing strategy rather than simply letting it grow organically in response to short term needs. Rather than having your strategic agency aligned to individual objectives, have the agencies share these objectives to align them to your desired outcome. And the best way to do this is organise events where the agencies get to meet, and not just account management, but all disciplines within the agencies. Because most compensation models set up competition between agencies, use bonuses to align agencies to your strategic objectives by paying shared bonuses to all agencies helping to achieve those objectives. Because when communications breakdown you get conflict and a failure to collaborate, so make sure you have a collaborative process to deal with disputes. As collaboration is not a process or a software system, but a culture that can be managed and maximised.